Any project manager should reserve at least 10 man-weeks in every project to agree on rules about SQL formatting. Top 10 Very Very VERY Important Topics to Discuss | Java, SQL and jOOQ. While the exact usage of games from this era is unclear, computer archaeologists have observed that they primarily served as collectables for mentally ill obsessives. These “gamers” would pin the wares they acquired from procurers into electronic albums, where the games remained unplayed to preserve their purity. 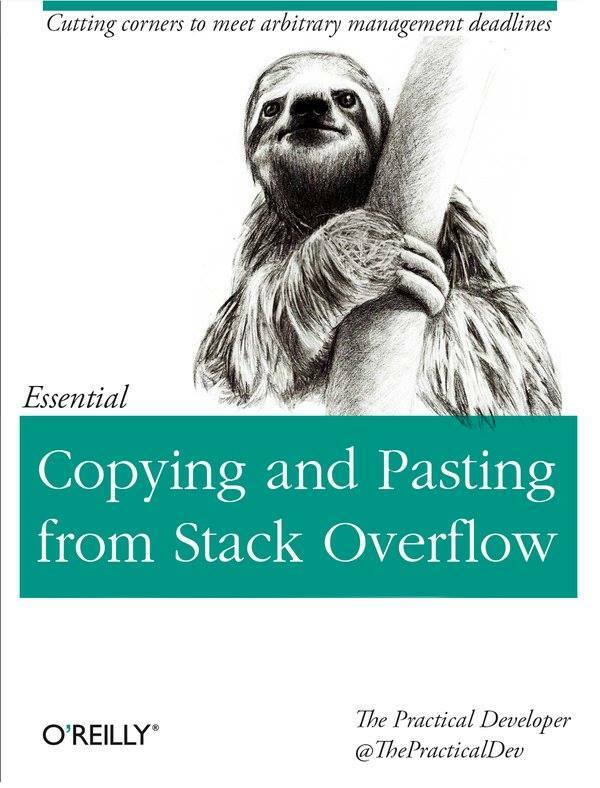 As a huge fan of the ancient Tao of Programming text, I was happy to see someone returning to the format with a more modern programming spin. The Abbess Jinyu was inspecting the state of the Laughing Monkey clan. In the hall she came upon a half-drowned monk, soaked and shivering. The Abbess bowed and went in to see the Java master. “Explain,” said the Abbess, indicating the monk. The Abbess struck the master with her cane. Fortunately for those of you following along at home, Wikipedia has a great article on Huffman Coding. The theory is simple, just keep taking the bottom two smallest frequency numbers and smoosh them into a new node with their frequency summed together until you’re left with only two elements. Then split each node of the tree into 0 and 1, and just keep appending on down the tree. ; P50 (***) Huffman code. There’s probably a lot of room to optimize and shortcut a lot of what I did. This was a three star problem, though, so I’m sure that most of the optimization is going to be in the flattening code. ; P48 (**) Truth tables for logical expressions (3). So, while it still doesn’t use the operator syntax, it does take any number of arguments as long as you tell it how many arguments there are. I’m happy with this solution, because I learned something doing it. I had some difficulty with the “Logic and Codes” section, since neither Prolog or Scala are really all that lisp like. Here’s my answer for 46. Many thanks to Brian Carper for responding to my StackOverflow question. It really helped me to reformulate this question with more of a clojure style than a Scala or Prolog style. ; P46 (**) Truth tables for logical expressions. I skipped number 48, because I couldn’t figure out how to count the parameter “arity” of the function being passed in. Even with the number of parameters being passed in, I wasn’t able to figure out how to pass a list as the parameters to a function. (Basically converting (func ‘(a b c)) to (func a b c) with a simple bit of code. Here’s my answer to number 49, which was mercifully easy after messing with 48 for a little while. ; P49 (**) Gray code. I did not do result caching. I couldn’t figure out where to start with it, and this code is so devilishly simple that I can’t figure out where I would store anything for future use.